Following the launch of the Archon Smart Touch Wristband and accompanying App earlier this year, Archon now introduces two new wireless fitness gadgets. The new Archon Jump Wireless Skipping Rope and Archon Speed Bike Meter serve to provide modern, practical and enjoyable digital fitness monitoring and motivation. Both gadgets connect to the Archon fitness App which already supports the Archon Touch and combined, intentionally create a multi-platform fitness solution for both casual and professional training. Relive your youth with this fun but challenging keep fit gadget. The Wireless Skipping Rope from Archon is an ultra-modern evolution of the tr aditional, family favourite. 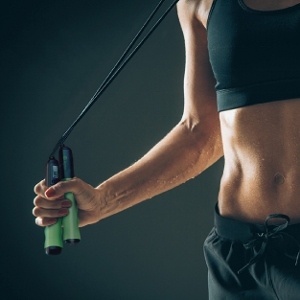 The skipping rope is already a popular choice with many fitness enthusiasts but Archon intends its wireless version to appeal to the gadget loving many dedicated to improving with their general wellbeing and overall fitness level. The Archon Jump, which features real-time tracking thanks to a built in counter and LCD display, plus fitness monitoring and goal setting via the Archon App, is perfect for a workout in a confined space, a great choice for social exercise for those that like to work-out with friends, and a highly affordable activity with a one-off cost of only £29.99. 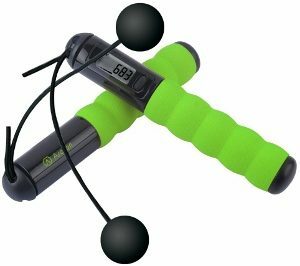 The Skipping Rope, with funky lime green soft handles, includes a full length rope as well as two short skipping ropes to allow skipping simulation in even the most confined spaces. Two AAA batteries (supplied) power a built in LCD screen which, when not connected to the App, displays real-time data including; number of skips, calories burnt, fat burnt, average skipping speed, daily skipping duration and a clock. A simple button enables quick switching between each mode and when held down provides no fuss pairing with a smartphone via Bluetooth. For those that have already downloaded the Archon App, pairing the Skipping Rope is as simple as a touch of a button. New Archon users can download the Archon fitness App for either Android or iOS and follow extremely user-friendly instructions to get their devices paired and enable access to their skipping history. Thanks to high performance Bluetooth transfer, data is easily uploaded to the paired smartphone, boasting seamless synchronisation of devices every time. The Skipping Rope Mode is one of three main selections on the Archon App making it highly accessible without complicated navigation. Each skipping session is started/ended via the App which then creates a session record for monitoring and comparison. Setting individual workout targets (time, skips, Kcal) before each skipping session is easy and a fantastic way to stay motivated to continually improve personal performance and the App alerts when a target is achieved. The App data can even be shared on Social Media with friends and fellow fitness fans. Time to dust off your bike and give it a new lease of life with the new Archon Speed. 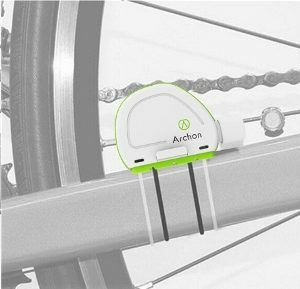 The Wireless Bike Meter is the third in the series of complimentary wireless products which make up Archon’s all-in-one fitness management programme. A fantastic addition to a bike frame, Archon Speed is designed to enhance and improve the use of cycling for casual and professional fitness training. 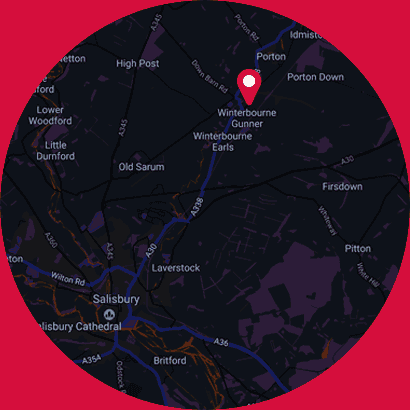 It not only accurately measures and records cadence, speed, calories burnt, elevation and date and time data for monitoring, but also maps ride routes, all of which can be shared on social media channels. 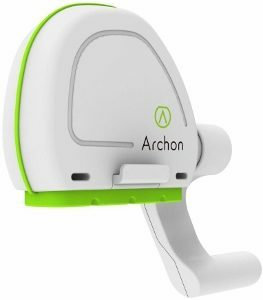 Archon Speed is a collection of unobtrusive sensors and magnets collecting and sending data to a smart head unit positioned on a bike’s frame. The clever, simple design makes it easy to set-up as well as discreet. All connections are supplied out of the box which makes up a total package costing only £29.99. The head unit connects wirelessly via high speed Bluetooth to the Archon Fitness App to either provide real-time data or record cycling history for later scrutiny. On set-up a quick pedal kick starts pairing of the Bike Meter to a smartphone, simply head to the home page of the Archon App and select Bike Meter to get started. Within the App, the Bike Meter section clearly displays current speed and pedalling intensity data as well as showing real-time mapping thanks to GPS which can be switched to full screen for better clarity. It also shows Bluetooth connectivity, head unit battery power status and a few handy weather stats such as temperature and the likelihood of rain. By starting and ending a ride session, the App records workout data which can be used for session comparison. As per the Archon Jump, the Archon App enables sharing of workout activities on social media channels, and in the case of the Bike Meter can also share ride routes, which is a great way to challenge like-minded friends to some healthy workout competition. Hint – It could also be a great way to keep an eye on where kids have been all day on their bikes. Archon is a company inspired by the evolution of technology development and design creativity for products helping to promote healthy living. Archon’s mission is to help users maintain a healthy lifestyle via the use of affordable smart technology by creating products that encourage people to have fun whilst staying fit. The team is dedicated to research, design and development, already delivering exciting new technology products for mass consumers to improve lifestyle, whilst offering value for money. Designed to help users maintain a healthy lifestyle whilst keeping them connected, the Archon Touch is a smart wristband which tracks rudimentary fitness, monitors sleep patterns and partners with both Android and iOS powered smartphones to provide convenient real-time notifications. Providing data such as steps taken, work out intensity, calories burned and distance travelled the Archon Touch is the perfect device to encourage light exercise, whilst get fit enthusiasts can set workout targets for a more intensive exercise regime, and can even share their achievements on Facebook. The wristband also alerts of incoming calls and messages, social media messaging, emails, calendar events and reminders. It is available in 6 funky colour straps.